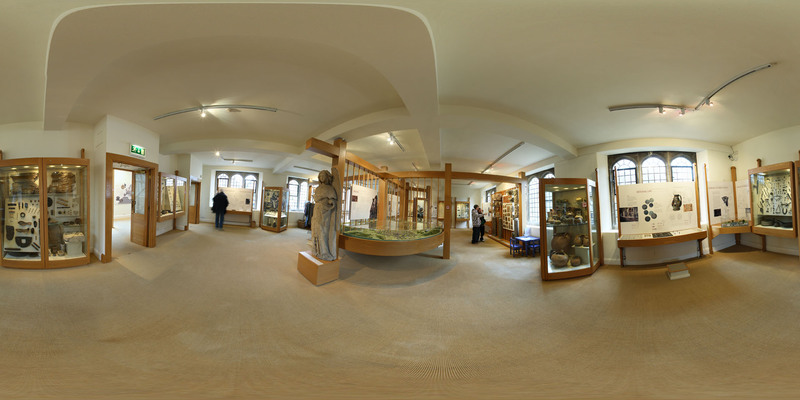 I went to Winchester City Museum with my friends. We went to the top floor first which was about Roman Winchester. The name for Roman Winchester was Venta Belgarum. We saw a mosaic with a hypocaust beneath. We saw clay pots. And did the face spotting quiz. 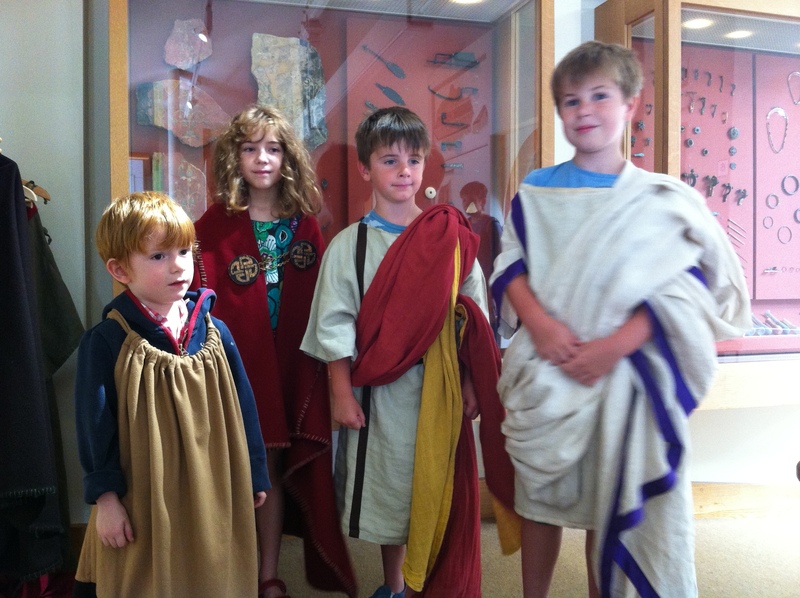 Here we are dressed as Romans (and Boudicca). 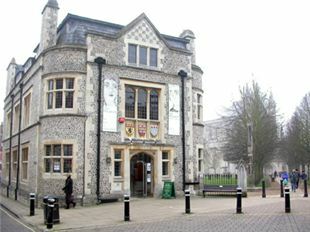 The second floor was Anglo-Saxon Winchester, which was called Wintanceaster. 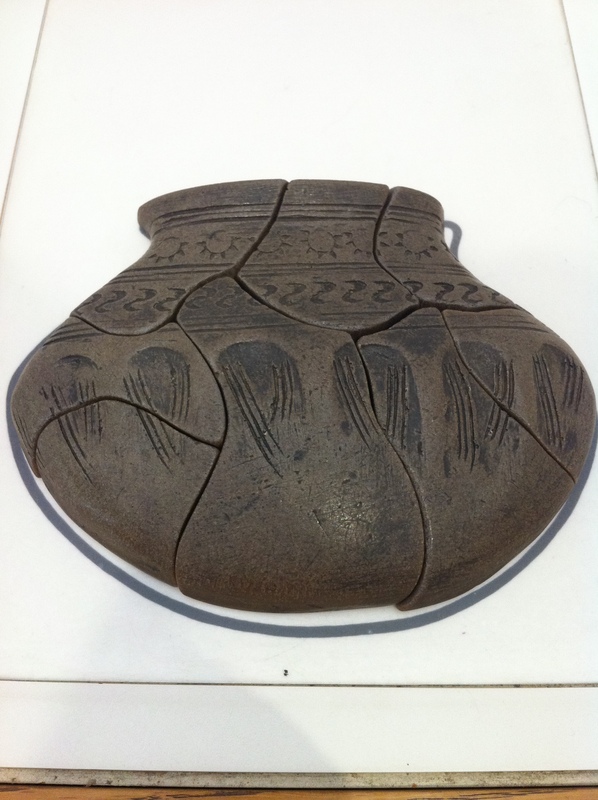 I did a puzzle of a pot. There was a little quest you could do and you had to find all of the faces and statues in the room. Me and my friend had found all of the faces and were only looking for one more – the angel. We said out loud “Where’s the angel?”, and my brother said, “Look, I look like an angel!” And he was standing right in front of the giant angel! 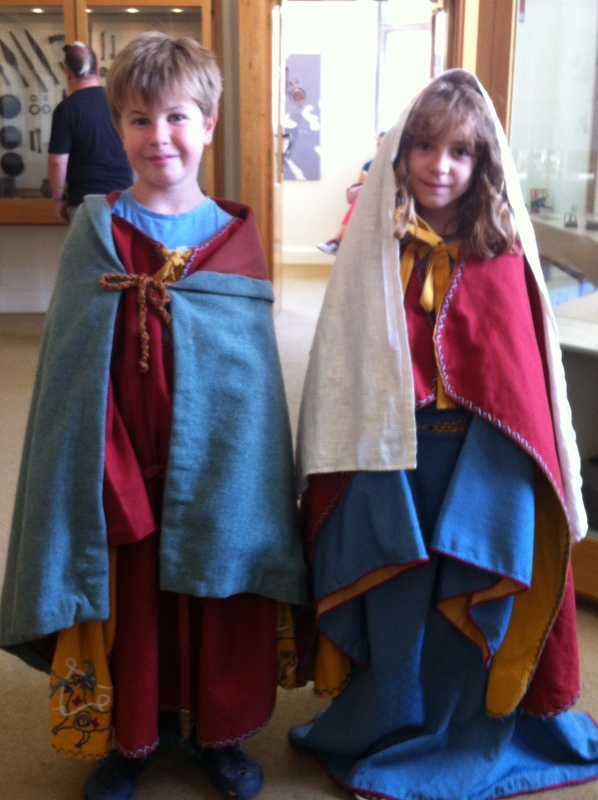 Here’s a picture of me and my friend as Gunni and Gytha, the Anglo-Saxons. I recommend lots of people to go to this city museum. Here is the children’s guide. You might like to fill it out during your visit. Do you prefer Romans or Anglo-Saxons? Please vote in my poll. 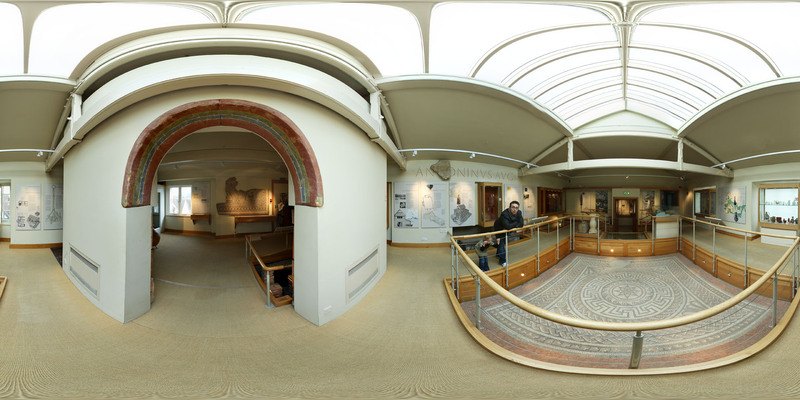 This entry was posted in Day Out and tagged Anglo-Saxons, history, Roman Winchester, Romans, Venta Belgarum, Winchester, Winchester City Museum. Bookmark the permalink.